2018’s final oval track race will be held Saturday night outside St. Louis. 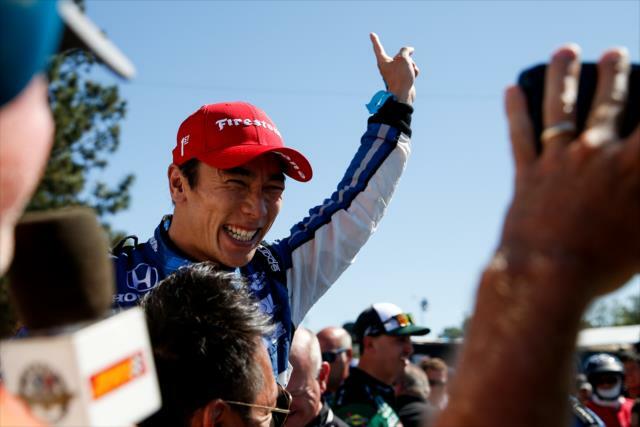 With only three races remaining in the season and the title chase intensifying, the fast cars under the lights will be fascinating to watch, particularly coming less than a week after Robbie Wickens’ horrific, injury sustaining crash at Pocono. 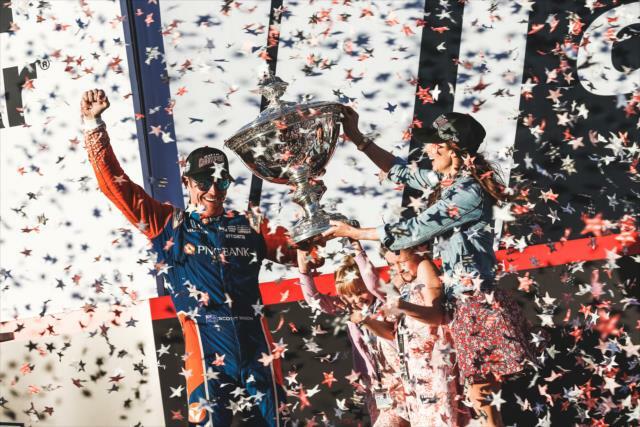 IndyCar’s return to East St. Louis last season saw Tony “time to call it quits” Kanaan crash on the parade lap before the race had even begun. 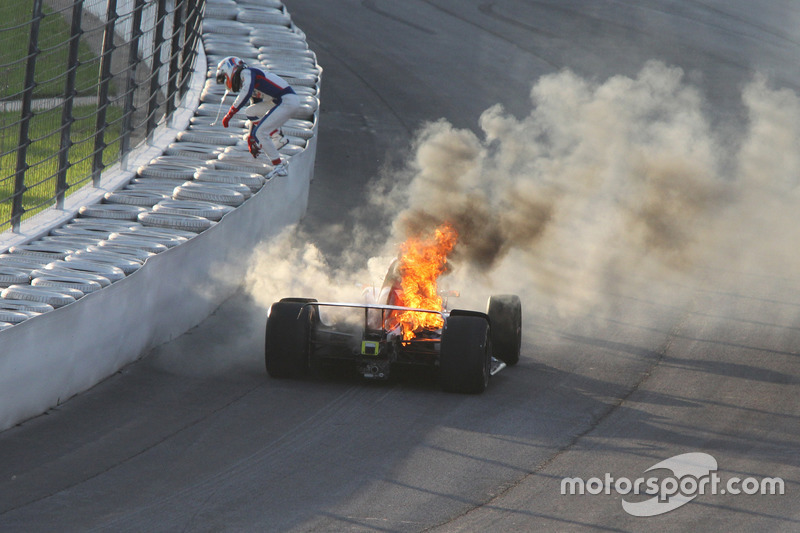 Then, on lap one, Will Power spun and crashed collecting Ed Carpenter and Takuma Sato. It was yet another of those kind of starts. On his championship run, an alert Josef Newgarden bravely bump-passed his teammate Simon Pagenaud for the win with thirty laps remaining. Newkid’s victory in Illinois was his third out of the last four races, and Pags wasn’t pleased. 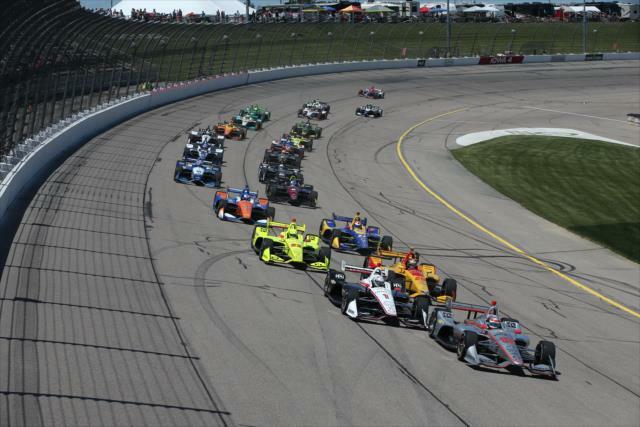 At the conclusion of the annual pilgrimage to Motor City, ABC’s long and strained relationship with IndyCar comes to a merciful close, as does the weak early part of the series’ schedule. We’re fans of seeing both go and look forward to a brighter, more productive portion of the season ahead. Starting with, like, our ever popular predictions! We’ve several prognostications for this weekend, full of open wheel racing as it is and coming off what was frankly a rough 500 in this department. But come on, who did have sour grapes Power winning it? Besides his few hard-cores, we mean? So without further adieu, we confidently predict a widespread outbreak of spontaneous celebrations marking the conclusion of ABC’s coverage of IndyCar, arriving after this weekend’s dual Disney displeasure. There’s nothing not to like about the new network partner NBC – at least for the foreseeable future, that is. Considering a hellacious crash by a Canuck, three wide action and sizzlin’ Sage Karam showing the rest of the 33 car field the way – and that’s all from Monday’s penultimate practice session – Memorial Day weekend should prove to be an entertaining Indy 500 show. And not some mere one-outfit lounge act, either. In a controversy-free weekend of qualifications, Fast Eddy Carpenter won pole for the third time while his teammates surprisingly secured sixth and seventh. In a stellar showing, ECR out-shined even Team Penske on Sunday. An exhilarating bump day included a couple of fan favorites rudely excluded from the field, namely James Hinchcliffe and Pippa Mann. Honda, the series’ suits in their suites and the entire Twitterverse broke down in an absolute tizzy, Lil’ Al style. We say snowflakes, welcome to Indy.